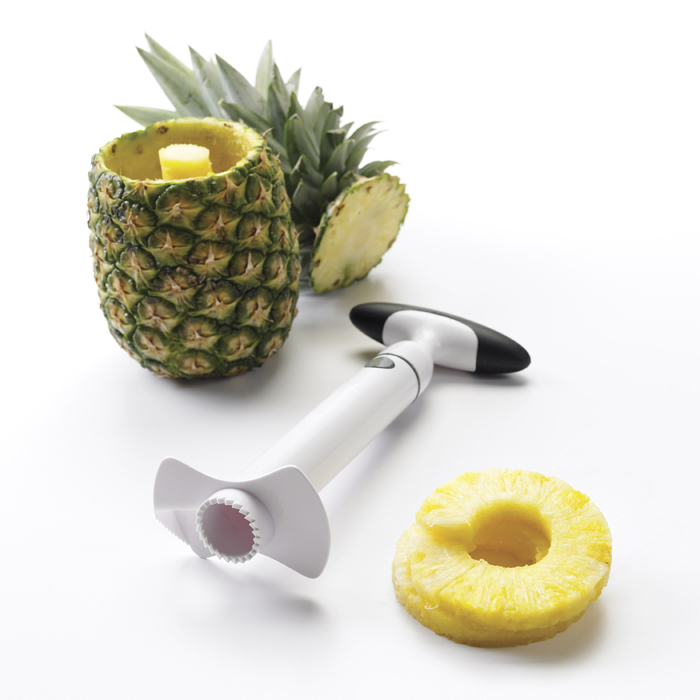 The OXO Good Grips Pineapple Slicer cores and slices a whole pineapple quickly and easily. 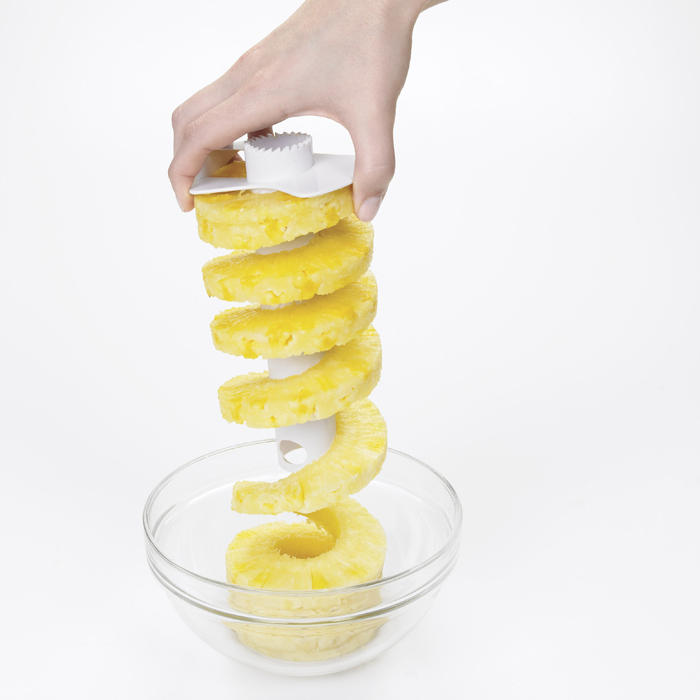 Simply slice off the top of a fresh pineapple and twist the Slicer onto the exposed fruit to create perfect pineapple rings. 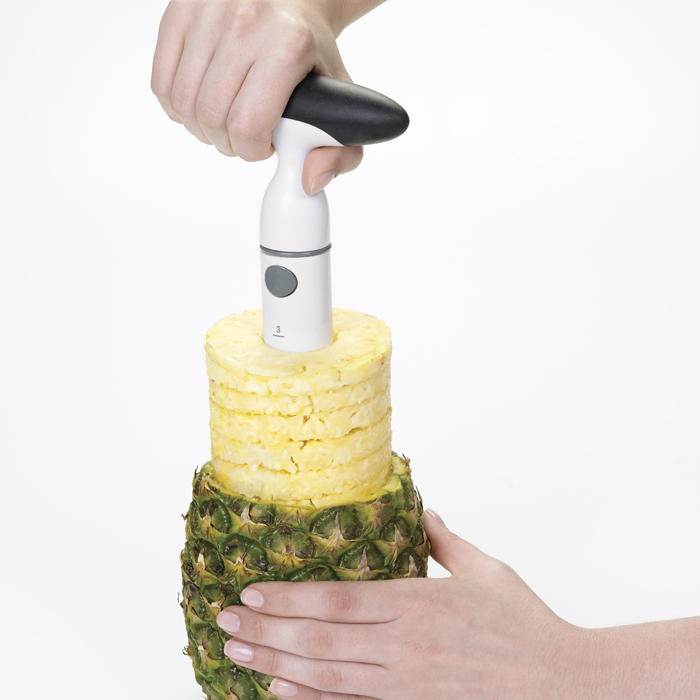 The ratcheting handle makes it easy to core pineapples quickly without having to remove and replace your hand with each twist. 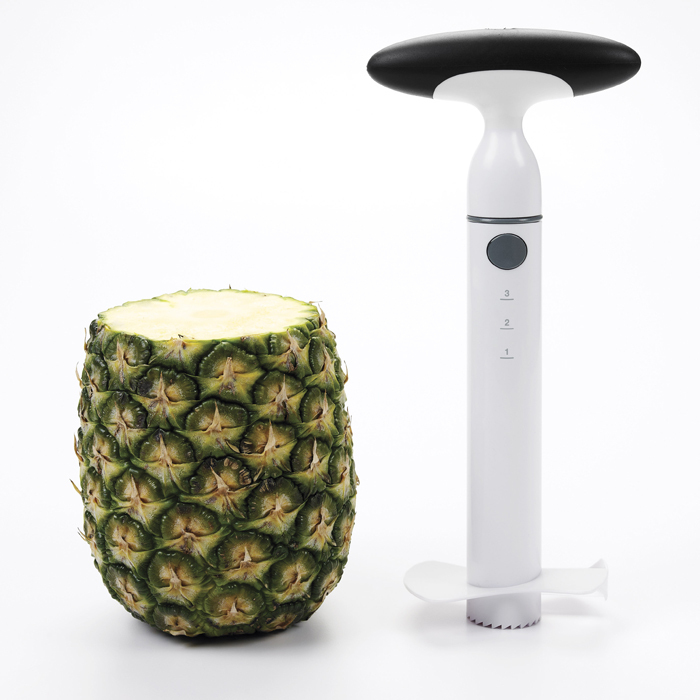 Measurement markings on the Slicer determine your pineapple’s height before slicing so you know when the Slicer is about to reach the bottom of the fruit. This feature ensures an intact pineapple shell to fill with fruit salad or a festive cocktail if desired. The turning knob features a soft, comfortable, non-slip grip and separates from the shaft for easy cleaning. 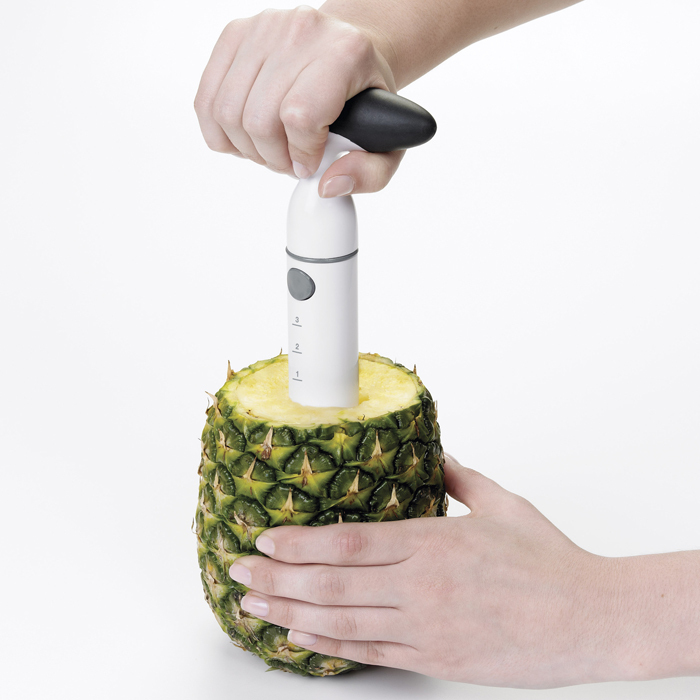 The sharp, medium-sized blade was designed to accommodate most pineapple sizes and its compact shape makes it easy to store when not in use.